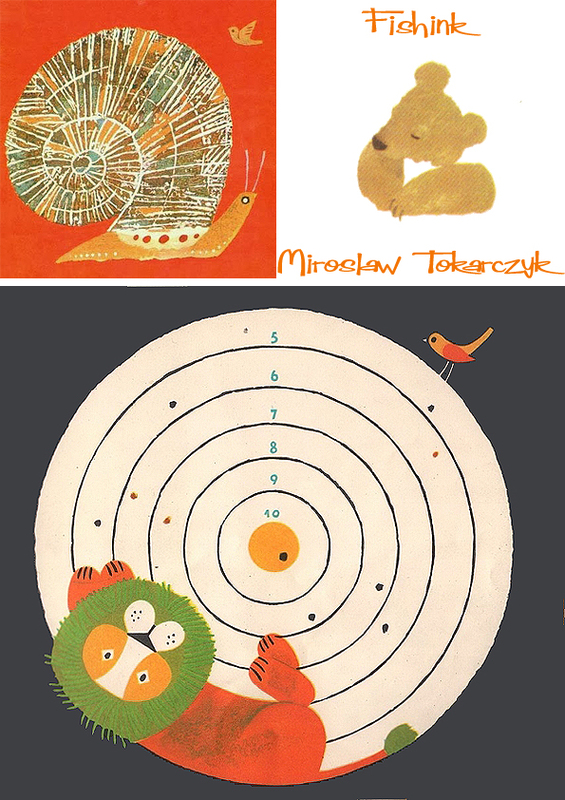 Miroslaw Tokarczyk was born in 1934 – a painter, illustrator and chairman of the board and co- publisher for ” Our Books ” . 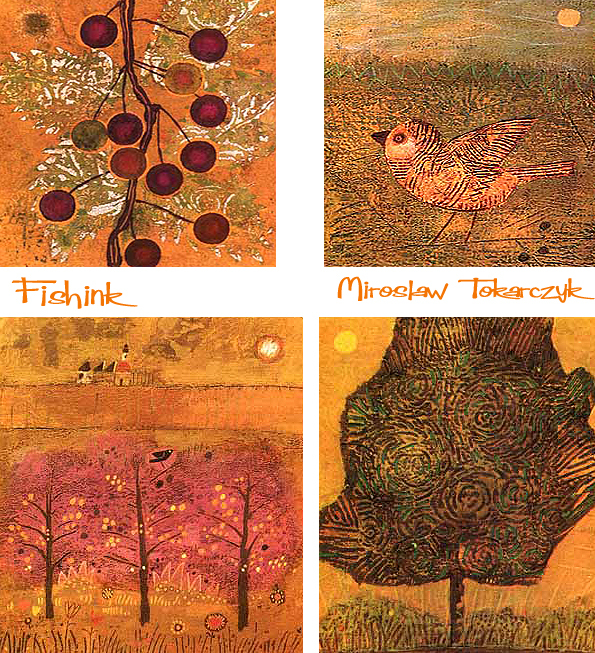 He studied graphics in the studio of Jan Marcin Szancer at the Warsaw Academy of Fine Arts. 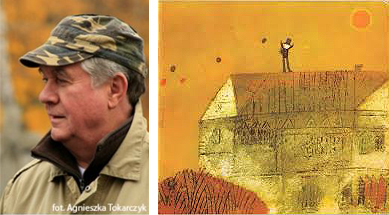 He was artistic director of the ” Movement ” , and chief graphic designer in publishing and Pedagogical School and the Institute of Publishing ” Our Books ” and artistic advisor Publishing House “Alpha”. 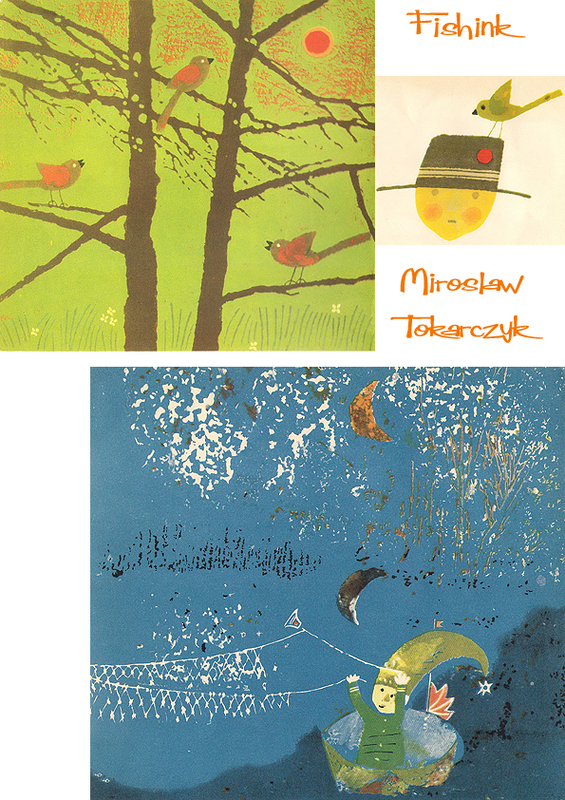 Characteristics of Miroslaw’s work is intense , contrasting colours and simplicity of form . 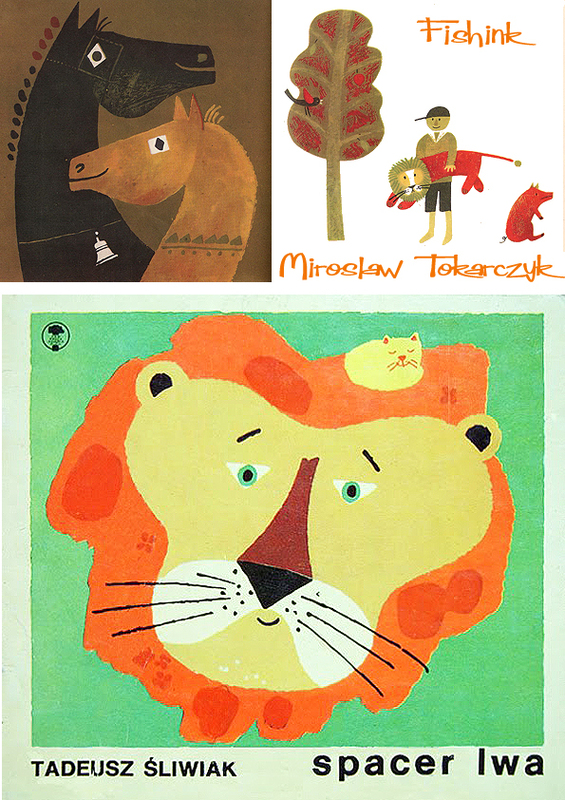 Miroslaw developed graphically and illustrated more than two hundred books for children and young people. Lovely colours and textures. 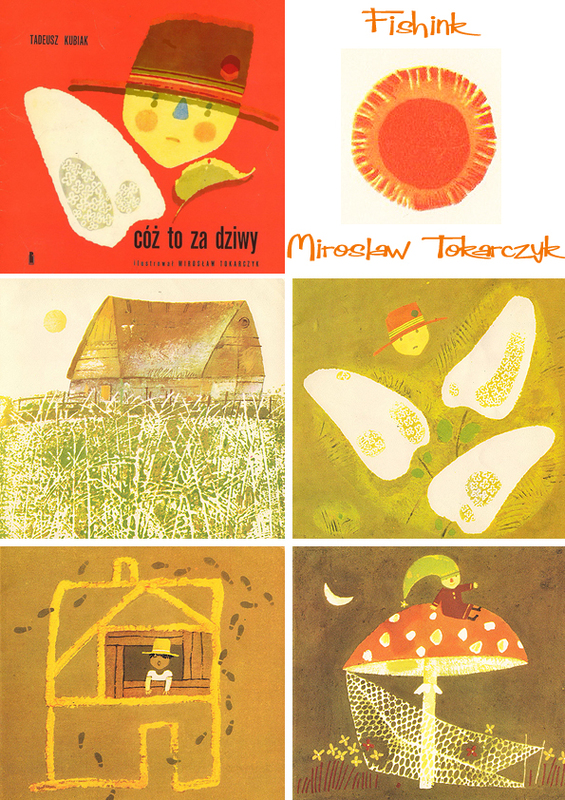 Thanks to Pstrobazar Blogspot and Jarmila09 for posting the images and for their wealth of Polish Children’s Book images. Well worth checking out. 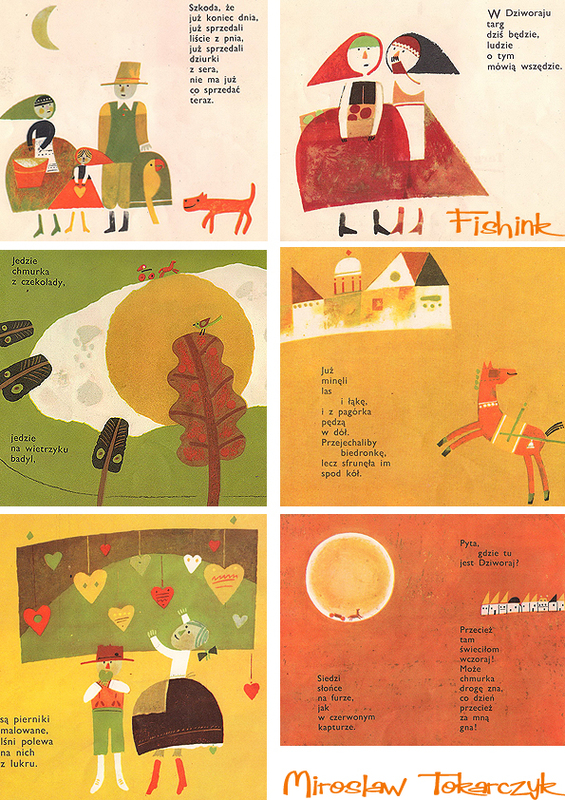 ← Fishink Travels. The Walker Art Gallery, Liverpool. so super! thanks for sharing! 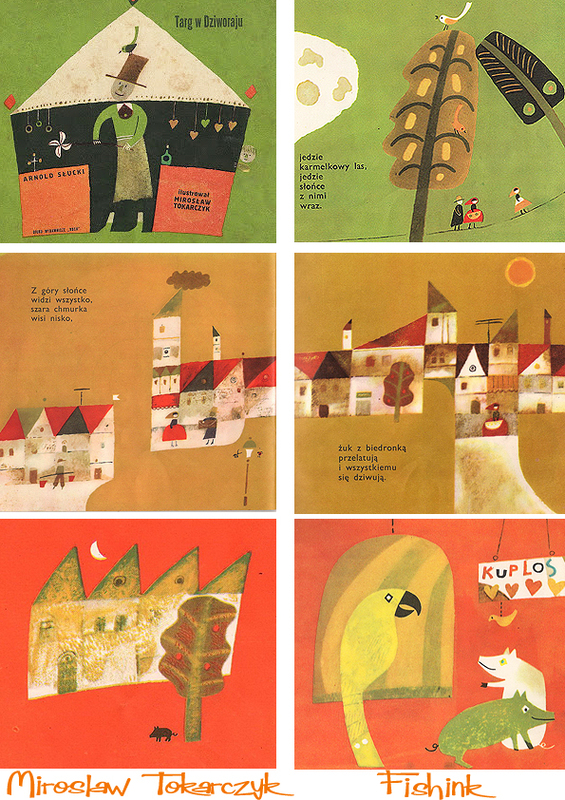 Thank you so much for sharing these beautiful illustrations! Awsome!! 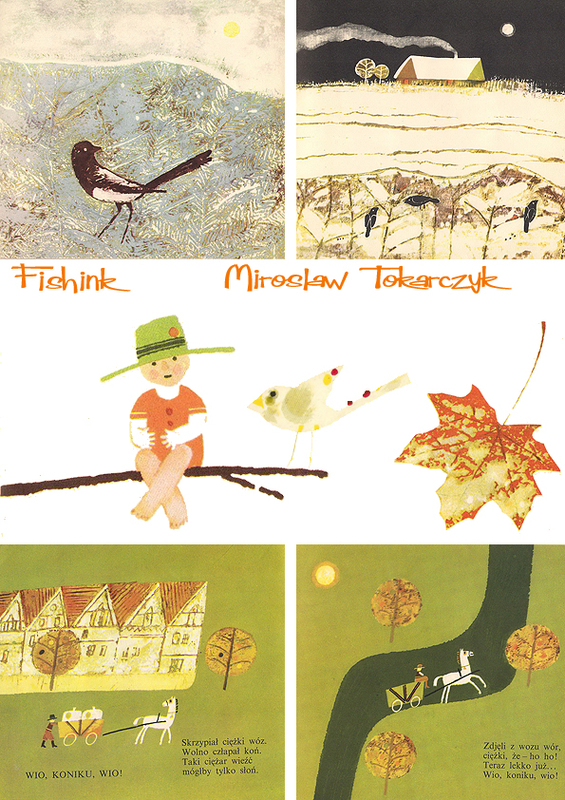 So fresh and with an original and lively tone.A subtle and precise acquaintance with childhood.